Chief Justice of Pennsylvania Benjamin Chew, Esq. (1722-1810) was a fifth generation American: a patriot, a traitor, an Anglican, a Quaker, and the father of a dozen daughters. Trained in law at an early age by Andrew Hamilton, Benjamin Chew inherited Hamilton’s clients, the descendants of William Penn (including his sons Thomas and Richard, and their grandsons Governor John Penn, Richard, Jr., and John Penn). For the next six decades, Chew quietly untied crucial legal and political knots, and by doing so, facilitated the growing sense of personal freedom that led directly to the American Revolution. In the coming months, this site will further explore how Benjamin Chew, Esq. helped to establish the personal and political boundaries of our democracy. Please check back for our ongoing updates to Benjamin Chew, Esq. on Wikipedia. We welcome your tax-deductible contributions to our ongoing research on BENJAMIN CHEW, ESQ. Please visit American INSIGHT to make your donation. 100% of your donation supports American INSIGHT’s Internship Program. 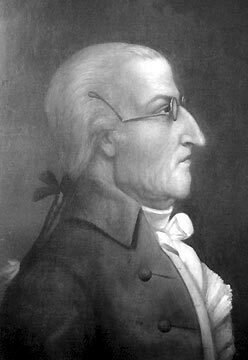 Our research effort focuses on Chief Justice of Pennsylvania Benjamin Chew, Esq. (1722-1810) and his contributions to a growing sense of personal freedom in the colonies leading up to the American Revolution. If you are interested in our other projects, visit our site on Andrew Hamilton, or the Free Speech Film Festival, Free Speech Blog, and their parent organization American INSIGHT.